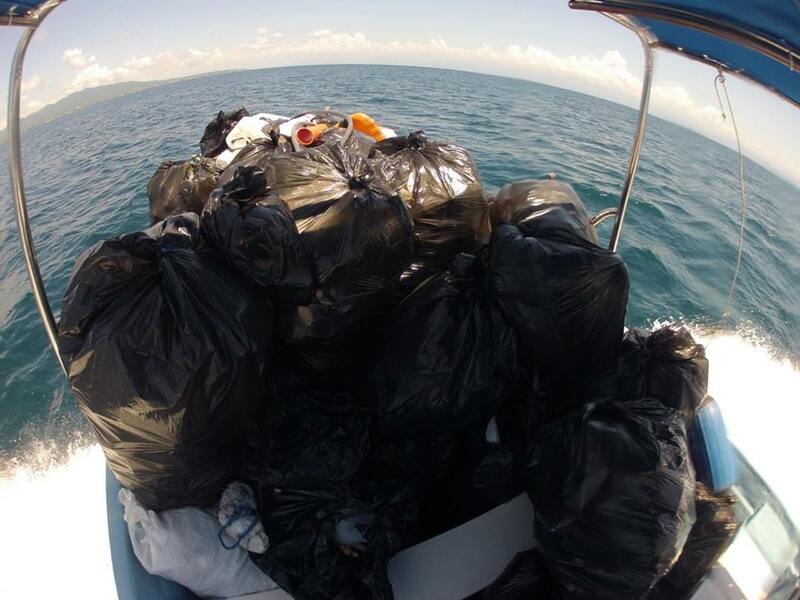 A total of 64 participants went out on 10 boats, filling up 45 black bags with trash along the way, 80% of which was made up of plastic bottles. The management of the Islas Marietas National Park, which is part of the National Commission of Protected National Areas (Conanp, by its acronym in Spanish), together with the Riviera Nayarit Convention and Visitors Bureau and the local tourism service providers all took part in a cleanup of the Islas Marietas on Monday, August 29, 2016. A total of 64 participants in 10 boats gathered up 45 black bags filled with trash—about 80% of it was plastic bottles. It should be noted that the waste reaches the islands via natural phenomena, the wind and the currents from the Nayarit and Jalisco rivers. The cleanup effort needed to take place now, when the rainy season has accumulated a lot of trash and the Playa del Amor is set to reopen. With regards to the new management plan for tourism to the Islas Marietas, the Conanp began holding workshops back in July in order to help train the tourism services providers. To date over 300 service providers have been trained and by the time the workshops end in September they expect to have trained another 200.